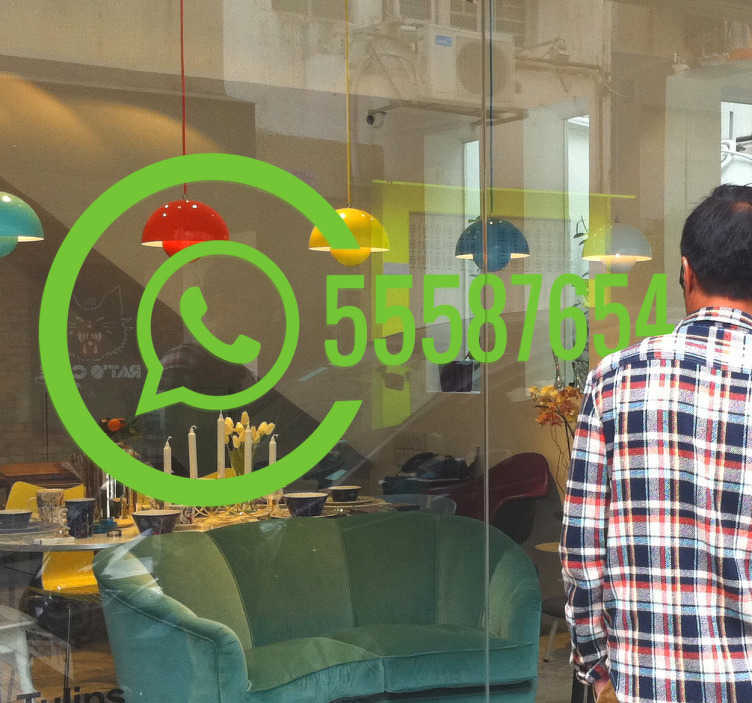 Whatsapp window sticker to show or advertise to your customers and guests that you or your business can be found on Whatsapp. Personalise this shop window sticker with any number you want, any size and any colour to make it more appealing to your business. Don't worry, this sticker is easy to apply and remove and leave absolutely no residue if removed. If you have any special requirements, do not hesitate to email us at info@tenstickers.com to discuss a personal design at no extra cost.